Editor’s note: this is a copy of a letter sent recently to George Kuksuk, the Nunavut family services minister. On Tues., Dec. 2, the Government of Nunavut issued a press release concerning a fuel subsidy for seniors in Nunavut. There are five criteria for this subsidy. 1. 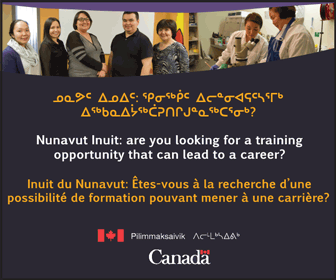 Be permanent residents of Nunavut. 2. Be 60 years of age or older. 3. Own and live in the home for which the subsidy is being requested. 4. Meet the allowable established income threshold. 5. Not receive income assistance. On examining these criteria, we immediately find that we meet the criteria for items 1, 2, 3 and 5. My wife and I have lived in the eastern Arctic since 1968, so we qualify as permanent residents of Nunavut. We are both older than 60, so we meet the age requirement. We have lived in our own home since 1983, so we are home owners. 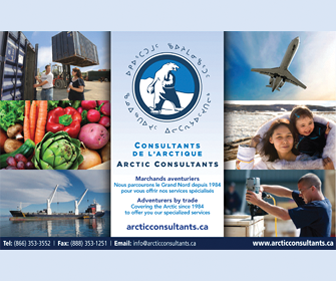 We have not received income assistance at any time in our years in the Arctic. However, when we obtained the details of the “established income threshold,” we discovered that we do not qualify. We have a household income exceeding $75,000, so we do not qualify for the 100 per cent subsidy and we continue to work, so we do not meet the criteria for the $100,000 income ceiling, and thus do not qualify for the 50 per cent subsidy. Discussing this program with a few of my also retired friends in Iqaluit we attempted to determine exactly who this program applies to? The GN issued a news release, the story was carried repeatedly on CBC television on Weds., Dec. 30, and appeared on Nunatsiaqonline.ca and on the CBC North news all on the same day. Mr. Minister, of the roughly 8,000 people living in Iqaluit, we can name two families who might qualify for the fuel subsidy. While I cannot claim to know every family in all the communities of Nunavut, I do believe that the range of potential recipients is so low that I suspect it is costing the GN more to administer this program than it is creating in benefits for Nunavumiut. I am writing to you with a copy to MLA George Hickes and to Nunatsiaq News and CBC Radio to ask for more information on this program. 1. How were the income ceilings established? By whom, when and using what data? 2. 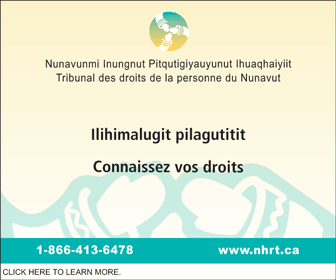 How many Nunavummiut are benefitting from this program? If as I suspect, there are very few families in Nunavut that qualify for this program, given the projected shortfall of the Nunavut budgets in 2016-17, I would like to suggest this program be cancelled as a cost saving action.